With the over-65 population growing at a rapid rate (36.9 million in 2009 and set to hit 72.1 million by 2030), automakers are intent on making driving easier for the elderly. 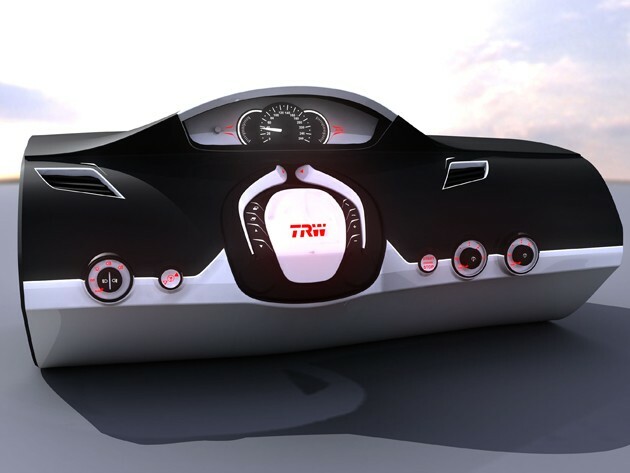 To that end, automotive supplier TRW is developing a folding steering wheel concept that retracts into the dashboard, allowing older drivers to get in and out with ease. The wheel is bisected into two smaller handles that fold inward when the vehicle is shut down, mounting nearly flush with the rest of the dashboard. When the driver gets back in, the wheel extends outward to the driver's chosen position and can be set at multiple angles for different users. Ideally, TRW's steering wheel solution would be part of a larger initiative to make driving easier for people with limited mobility, and partnered with voice commands and more legible buttons and interfaces, the wheel could be part of a elderly-focused equipment package as early as 2016. Full details in the press blast after the break. Thought this was interesting, I could see the steering wheel being an inconvenience if you're fat but I think it could also help you move around in the car if your old. Wait, this isn't a Farmall forum.